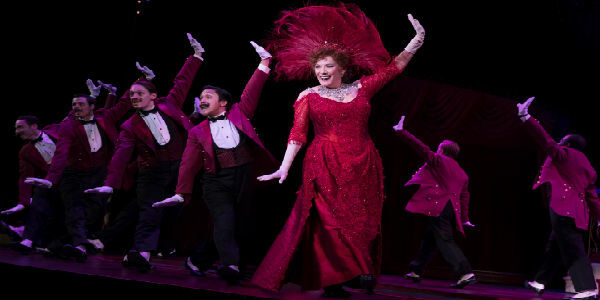 The legendary broadway musical “Hello, Dolly!” featuring Tony Award-winning icon Betty Buckley comes to Orlando’s Dr. Phillips Center for the Performing Arts November 27 through December 2, 2018. Based on Thornton Wilder’s 1938 farce “The Merchant of Yonkers,” the musical follows the story of Dolly Gallagher Levi, a strong-willed matchmaker, as she travels to Yonkers, New York, to find a match for the miserly “well-known unmarried half-a-millionaire” Horace Vandergelder. In doing so she persuades his niece, his niece’s intended, and Horace’s two clerks to travel to New York City, and in the process, hilarity ensues. “Hello, Dolly!” first debuted on Broadway in 1964, with Carol Channing in the lead, and went on to win ten Tonys. It closed in 1970, after 2,844 performances. Besides Channing, other leads over the six-year run included Ethel Merman, Ginger Rogers, Pearl Bailey, and Phyllis Diller. In 2017, the musical was revived on Broadway, and went on to win more four Tonys. Now on tour, theater legend Betty Buckley steps into the role of Dolly. Buckley is best known to TV viewers from the 70s series, “Eight is Enough,” and 10s “Pretty Little Liars,” but it’s in theater where she has truly made her mark. Her long list of award-nominated and award-winning productions includes, “Cats,” “Sunset Blvd.,” and “Gypsy.” In 2012, Buckley was also inducted into the Theater Hall of Fame. Tickets are available at DrPhillipsCenter.org, the venue box office, and Ticketmaster. 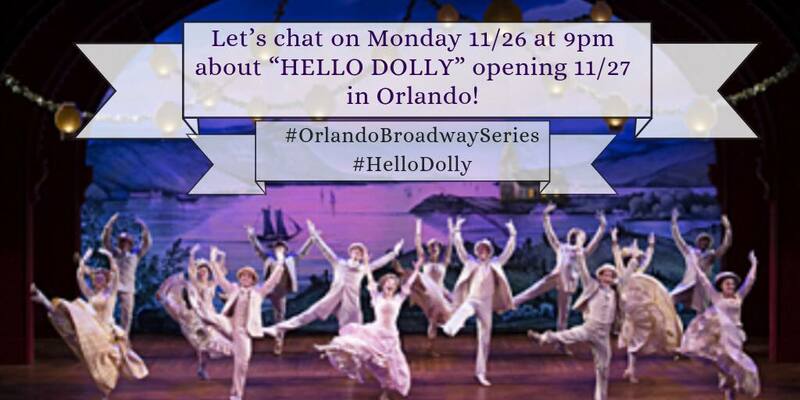 On November 26, join CitySurfing Orlando and other Orlando bloggers for a twitter chat about “Hello, Dolly!” in Orlando. Catch us at 9pm using the hashtag: #OrlandoBroadwaySeries.